As we remember those who’ve died in service to the nation and take time to reflect on the sacrifice of our brave fighting men and women who are still serving, it’s also important not to forget those veterans who’ve served and continue to struggle every day with health problems they developed on active duty or emotional traumas from war. America is working to build better mechanisms for dealing with veteran suicide, alcoholism, drug abuse, and transition assistance. One way the law is working to protect veterans is through something known as Veteran Treatment Courts. What is a Veterans Treatment Court? A Veterans Treatment Court is a special diversion program designed to keep veterans with minor and nonviolent offenses out of jail. The goal is to identify the underlying problem, treat it, and help the veteran re-enter society in a healthy and successful way. Many veterans suffer from alcohol or drug addiction, sometimes due to attempts to “self-medicate” mental health issues stemming from untreated post-traumatic stress disorder (PTSD), symptoms of traumatic brain injury (TBI), and other ailments that were developed or made worse during military service. Maryland law attempts to strike a balance between holding criminals accountable and giving our nation’s heroes a second chance. Each Maryland county has a unique and individual way of handling treatment courts. Veterans courts are just a form of ‘problem-solving courts,’ which are designed to do exactly what their name implies – solve a problem. Like drug treatment or alcohol treatment courts, veterans courts are designed to help avoid incarceration, and they are pretty successful. However, there are some limitations you should understand. Throughout Maryland, every county has at least some form of specialized diversion program that may be applicable to your unique circumstances. The Maryland judiciary maintains a database of treatment courts. Smaller courts typically have less publicly available information for litigants and defendants. 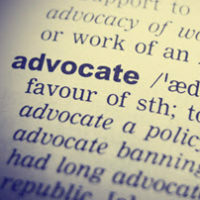 While treatment courts are designed to be accessible and useful to all defendants – even those without legal representation, there are often issues with accepting a deal. Sometimes prosecutors may add unrealistic limitations or conditions, or there can be unintended consequences of taking a deal. Before you commit to a deal, make sure you first speak to an experienced local criminal defense lawyer who can fully assess the merits and advise you on your other options. Call the Law Offices of Todd K. Mohink, P.A. in Maryland today.